I used to be part of a more expressive charismatic church, where Ché Ahn was a respected voice. I remember him preaching at our church one Sunday and enjoyed it. I read God Wants to Bless You! eager to see if I still appreciated Ahn’s message. I also am challenged by charismatic friends toward a more experiential and dynamic faith and the hunger for God’s blessing. God does want to bless us! Ahn, who is a graduate from Fuller Theological Seminary, founder of the apostolic network Harvest International Ministry (HIM) and the founding pastor of HRock Church in Pasedena wants us to experience all God has for us in Christ. The impetus behind this book was a prophetic word given to him by Bob Hartley in 2013. Hartley told Ahn that he was to speak ten decrees–ten scriptural blessings–over his church (12). Hartley wasn’t specific as to what these blessings ought to be, and after prayer Ahn compiled the list he shares here. These were decrees that Ahn declared over his church and had his members decree over their own lives. God Wants to Bless You is presented in two parts. 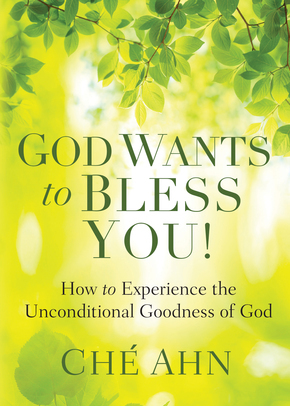 Part one describes the power (and purpose) of God’s blessing in our lives. Part two presents Ahn’s ten decrees. Each of the decree chapters begins with a prayerful ‘apostolic’ decree from Ahn, praying God’s blessing on a dimension of our life, then some teaching from Ahn on the topic, and a closing decree for the reader to pray out loud, declaring God’s blessing on their lives. All of these decrees are biblically rooted. Ahn leads us through prayers that we will grow in our knowledge of God’s love, grow in grace, be in empowered by the Spirit, know our identity in Christ, grow in Christlike character, see God’s Kingdom come, experience God’s healing, prosperity and fulfill our personal God-given destiny. Ahn is a good teacher and I was generally impressed by his use of scripture. I also liked that this book isn’t a simple ‘name it and claim it’ book. When Ahn writes about growing in love, character, grace, etc, he imparts strategies for living in a more Christlike way. This isn’t just about speaking God’s blessing in our life, Ahn shares vulnerably his sometimes difficult journey as a disciple. 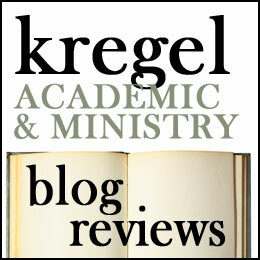 There is no dichotomy here between praying for something, and active spiritual discipline. However I do have qualms with his understanding of Israel and prosperity. Ahn teaches about God’s continuing blessing on Israel and the Jewish people based on their covenant with God and his covenant faithfulness to them (41-46). He then teaches that all of the blessings of Israel are our inheritance in Christ because we have been grafted into Abraham’s family (46). To me, this smacks of supersessionism and leads to the misreading of the Bible. Secondly, Ahn’s teaching of prosperity involves renouncing ‘the Spirit of Poverty; on our lives. Ahn shares the story of renouncing the spirit of Poverty and receiving his first five-thousand dollar honorarium (57). I can agree with Ahn that we shouldn’t seek poverty for poverty sake, or idealize it. Yet I think what scripture commends is that God’s care for us and our needs. It is not a ‘pray and grow rich’ theology. I am nervous about the way the prosperity gospel penetrates Ahn’s description of God’s blessing. But I am also appreciative that the Blessings that Ahn has us declare over our lives are so that we can be a blessing to our neighbors and the nations. The impact of the abundant life is that we share God’s love, grace, healing, and prosperity with others. Ahn teaches us that God blesses so that we can be a blessing. I can’t agree more. I am awed and inspired by God’s goodness to us and the way it is described here. I give this book three stars and recommend it, albeit with reservations. I want to experience more of God’s unconditional goodness. I want that for you to. Note: I recieved this book from Chosen books in exchange for my honest review. James Goll is a well known voice among charismatic-prophetic types. He has written several books on the ministry of prophecy, which among charismatics amounts to exhorative words of knowledge given to build up and encourage the church (as opposed to the ‘social critic’ understanding of prophecy–I am not saying that Goll doesn’t also affirm this function of prophecy but there is less emphasis on it). In The Lifestyle of a Prophet, Goll has written a 21 day manual which distills some of his earlier volume, The Coming Prophetic Revolution (Chosen books, 2001). This book is intended to help those called and gifted for prophetic ministry to make the most of their calling. The 21-day-format enables Goll to divide his book into three one-week-long sections. 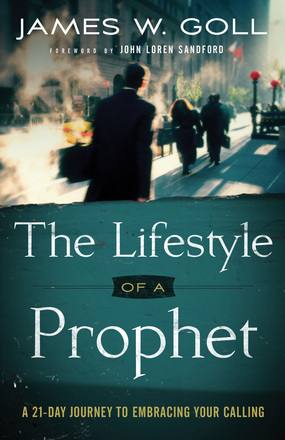 The first section describes ‘the lifestyle of intimacy,’ the second, ‘the lifestyle of wisdom,’ and the third, ‘the lifestyle of revelation.’ While charismatic prophetic types occasionally reverse this order, Goll exhorts prophets to first develop an intimate relationship with God and the character appropriate for this charism. Likewise wisdom (i.e. knowing how and when to share prophetic words) is an important part of effective ministry. The final section, gives some practical advice for prophets to exercise their gift. This book is not really written for non-prophets. I am a non-prophet with some questions about the contemporary practice ( I am not dismissive, just have some bad experiences). So much of this book was talking past me. However I thought Goll was evenhanded in his presentation and offered some good advice. He obviously affirms and celebrates ‘the prophetic’ but he cautions against chasing prophetic words instead of being rooted in scripture. Likewise his approach of first cultivating our relationship with God and the practice of wisdom before delving into the experience of the gifts is correct. I happily give this book four stars for what it is: a practical manual for charismatic prophets. As an introduction to those exploring the prophetic gifts, other books are better. But this is the sort of grounded book you want prophets to read. It doesn’t hurt that Goll is a good writer. So prophet friends, I commend this book. Thank you to Chosen books for providing me a copy of this book in exchange for my honest review. Chad Norris was a preacher. He went to seminary at Beeson Divinity school and studied under Calvin Miller and Robert Smith, jr. He was passionate about following God and living for him. But he struggled with depression and panic-attacks. 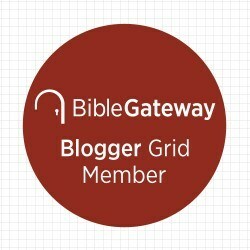 He hungered for a ‘New Testament’ experience of God. A fresh reading of the gospels (especially John) and an attentive heart to where he felt God was leading, led Norris to a greater openness to the Spirit. Signs, Wonders and a Baptist Preacher is his story. Written with grace and good humor, Norris describes his journey into supernatural ministry. As pastor of Spiritual Formation at City Church in Simpsonville, SC, Norris has led mission trips and healing services. His story tells of his own experience of healing and deliverance and his attempts to follow where the voice of God led him. He is a bit of a goofball but this is a fairly even-handed account. What I liked about Norris’s story is that he doesn’t argue that being open to the Holy Spirit means you have to be as weird as you possibly can. His description of his healing services is of a quiet grace filled moment where he and others pray for people. He acknowledges that some people still have to take medication and don’t get healed, and looks for the grace of God in the lives of those who suffer (he calls them the real ‘heroes’). Ultimately though, Norris’s point is not just for people to experience the supernatural gifts. He wants people to know intimacy with God. This is his emphasis throughout. I also appreciated that Norris is comfortable talking about pain and hard experiences. He doesn’t paint the Spirit filled life with Pollyanna brush strokes and he’s had his share of painful experiences. He does commend Spiritual experiences because God is a supernatural God. What he presents here is not a formula. I liked this book because I like Norris’s storytelling and his story. He is funny and the book is a quick read. I give it 3.5 stars. Thank you to Chosen books for providing me a copy of this book in exchange for this review. I first became aware of the ministry of Heidi and Rolland Baker through a class I took in seminary. My professor (Bob Ekblad) is an activist who works with people on the margins and is passionate about the work of the Spirit. He held up the Bakers as exemplars because of their tireless work in mission and their passion for supernatural ministry. 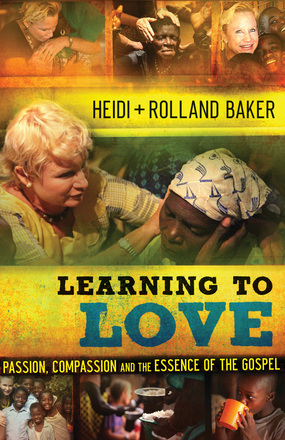 I had seen video clips of interviews of Heidi Baker but knew little about her (and Rolland’s) mission organization or their work in Mozambique. So I was excited to read Learning to Love: Passion, Compassion and the Essence of the Gospel. Heidi and Rolland take turns narrating their work in Africa and around the world. Learning to Love tells of their experience entering into the suffering of Christ, loving people, responding to God’s leading and seeing Him work in often incredible ways. The passion and zeal the Bakers have for sharing the gospel is infectious. While many charismatic authors in the United States preach prosperity, the Bakers have given their lives sacrificially to see the people of Mozambique and around the globe come to saving faith in Christ. They speak of miracles and God’s provision but they also have really entered into the suffering of the nations they’ve served. This book is their story of ‘loving God and the person in front of you.” There mission has involved them in caring for children and orphans, planting churches, leading bush revivals, prayers of healing, digging wells, launching schools, providing needed physical care and more. Through it all they have sought to be faithful to God’s call on their life. Yet Learning to Love was a difficult read for me. To me, the book reads like a series of support letters for Iris Ministries (their organization). They are passionate and expound on where God is working in their midst, but there seems to be little cohesive organization to their chapters. I also found that I still know very little about their mission philosophy (other than an expectancy to see God at work). I like that they are listening to the Spirit and expect miracles and are driven by a concern for the people of Mozambique, but because this book tells you the breadth of all that they do, you don’t get a sense of what their long term commitment to one place, or one group of people is like. There is more to their story which I would like to hear. I do respect that these charismatic missioners have seen God bring healing and new life in their mission and have come to expect God’s supernatural ministry. This is the experience of the global church and too often us educated Americans seek naturalistic explanations instead of the God of Grace. I am not sure that I can say I loved this book, but I did like Heidi and Rolland and what I heard from their story. I give this book 3 stars and am interested in hearing more about their work. Thank you to Chosen Books for providing me with a copy of this book in exchange for my honest review.